This recipe had a different name and honestly, I intended to follow directions but in some silly way, I left out the flour and this no longer could be called a Zucchini Onion Pie. I have learned to forgive myself through a practice in school. Particularly in math, the kids make errors and much of the time they are silly mistakes like adding 10 and 5 and getting 50. I tell them, these are minor and they will learn from them. We tend to cheer our mistakes since we truly do learn from them. I learn from my cooking mistakes and while, I can't say, I will not leave an ingredient out, in the future, I am going to be more careful. The resulting dish, although not a pie was tasty and we enjoyed it. In a large bowl, whisk all the ingredients. 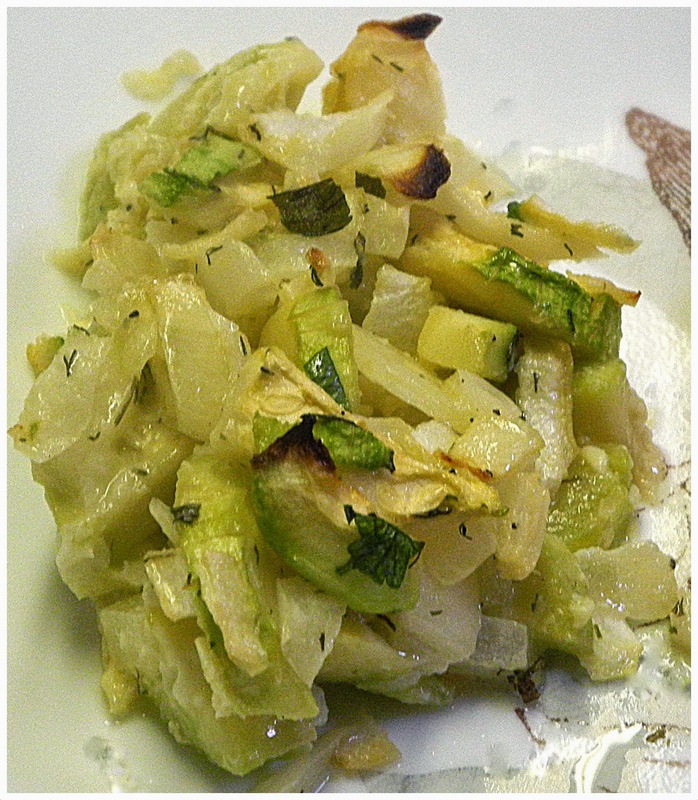 Stir in the zucchini and onion. Pour into a greased 9-inch shallow pie plate. Bake at 350° for 25-35 minutes or until lightly browned. Sometimes forgetting an ingredient, results in the most delightful little dish. Or adding too much of another. One time I added double butter to my own formula for cornbread. Turned out to be the BEST cornbread ever. Sounds lovely, but are you really recommending canola oil? I love it when 'mistakes' turn out deliciously! Your Zucchini and Onions sound delicious, Chaya. Thank you for sharing this post with us at the Hearth and Soul hop.